This weekend it was warm enough to wear a short sleeve shirt with no sweater, jacket or cardigan. Perfect spring weather! Colors that scream spring are canary yellow and kelly green. 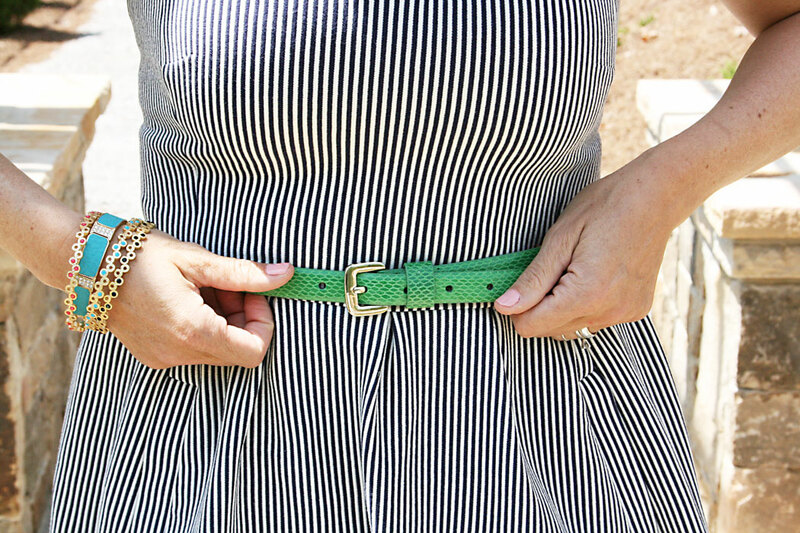 And I’m loving the two colors paired with this black and white striped dress I picked up from Banana Republic. Best part–it has pockets!